Whenever my husband and I talk about ordering sushi, I always go for the vegetarian options full of vegetables. As a result, I hear endless amounts of grief about never ordering ‘real’ sushi. But, I never feel like I’m missing out. 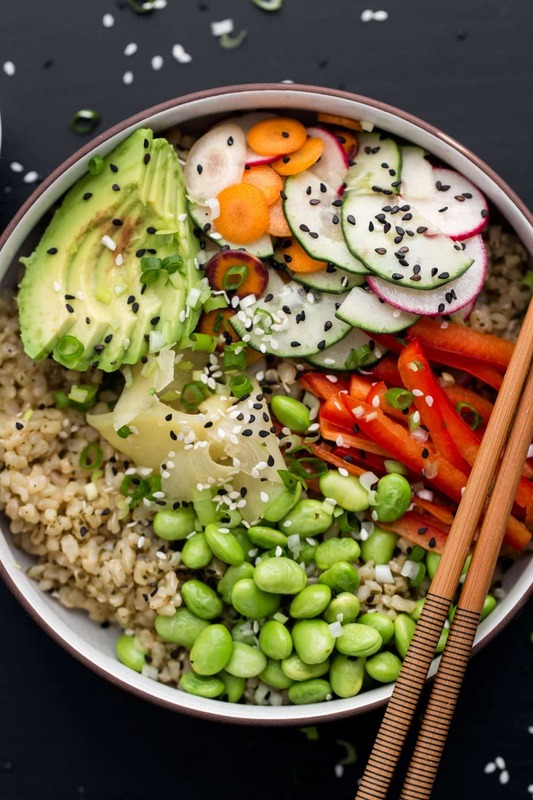 This sushi bowl is easier than sushi to make but I still get all the flavors. However, this particular vegetarian sushi bowl has a special ingredient: green tea. We always have green tea on hand (it got me through pregnancy). When adding it to the rice, you get an earthy flavor, a bit akin to nori (which I rarely have on hand). The flavors of a good vegetarian sushi without the time to roll! 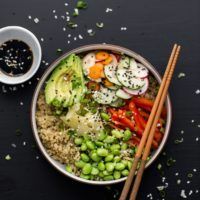 This vegetarian sushi bowl also uses a flavorful tea rice as the base. Rinse the brown rice well. Combine with water in a medium pot. 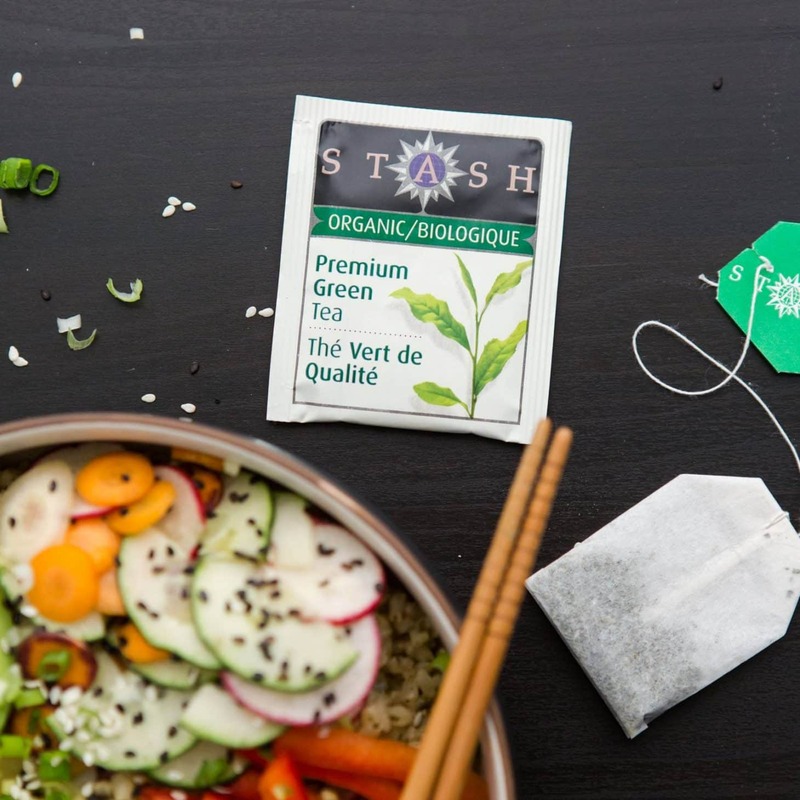 Cut open the green tea bag and sprinkle over the rice then give a stir to combine. Cover and let the rice cook until all the water has absorbed, 45 minutes. Whisk together the rice vinegar, rice syrup, and salt then stir into the cooked rice. While the rice cooks, prepare the vegetables. Combine the cucumbers, carrots, radishes with the sesame oil and sesame seeds; let sit. Once rice is done, assemble the bowls with all the vegetables and pickled ginger. Serve with extra sesame seeds and soy sauce. Tips & Tricks: I almost always use short grain brown rice even though it’s not a traditional sushi rice. Other options are sweet brown rice or true sushi rice. Pickled Vegetables: I wanted to keep this bowl very easy. However, you can pickle the cucumber mixture. In fact, I would recommend giving it a try! 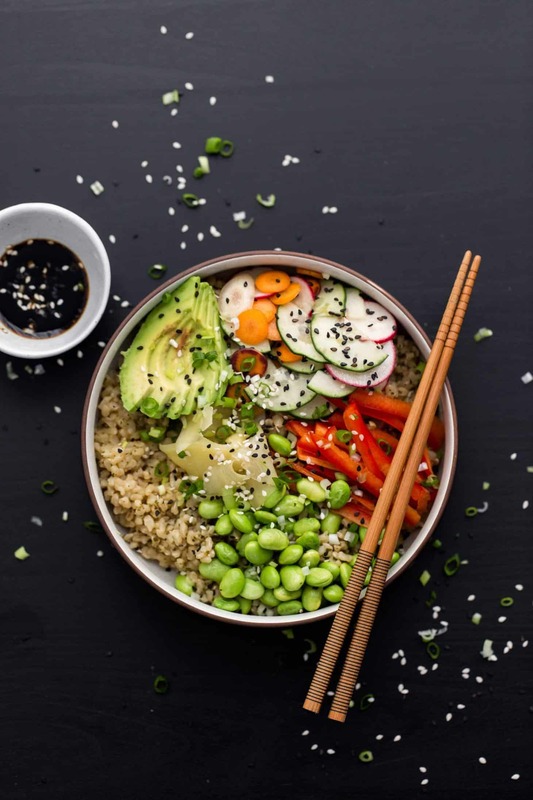 You can do something like this sushi bowl recipe. 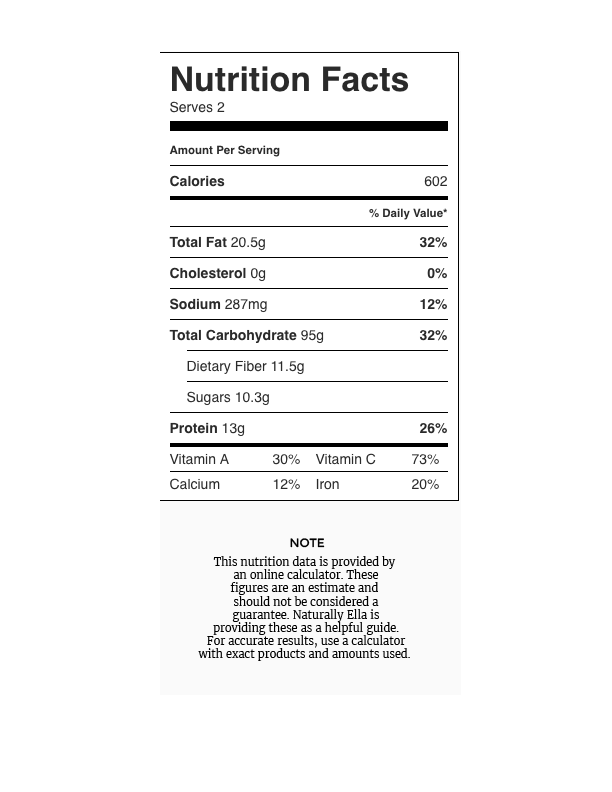 Wasabi: This is one ingredient I don’t usually keep on hand. But if you happen to have it around, add it to the bowl! Nori: Want to go a bit more traditional? Sprinkle nori strips on top of the bowl before serving. OH my goodness, this is stunning. This reminds me of the sushi bowls I ate all the time in college from a place called Bento. It was all the college kids go-to, sort of like Chipotle ha. NEED to make this! I made sushi this weekend but it definitely didn’t turn out this pretty. I should stick with a bowl like this next time!